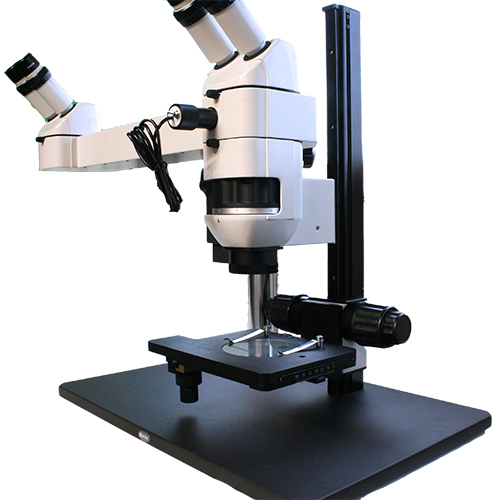 The MWDVS Dual Head Teaching Microscope is a common main objective dual observer stereo microscope system with a custom mechanical stage that offers both coarse and fine focusing. Option for five fixed magnifications or continuous zoom. 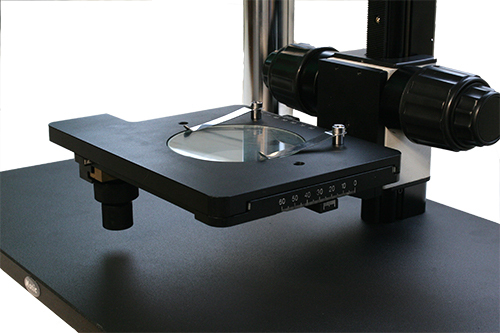 Custom mechanical stage with both coarse and fine focusing. LED Dual pipe light illumination. 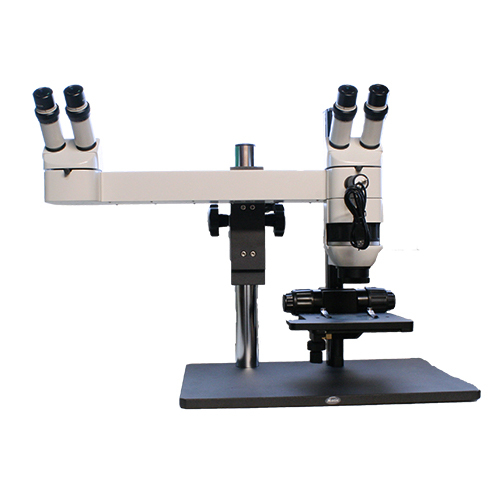 MWDVS dual observer stereo microscope. Mechanical Stage with ability to shine light up beneath stage, as well as coarse/fine focusing. 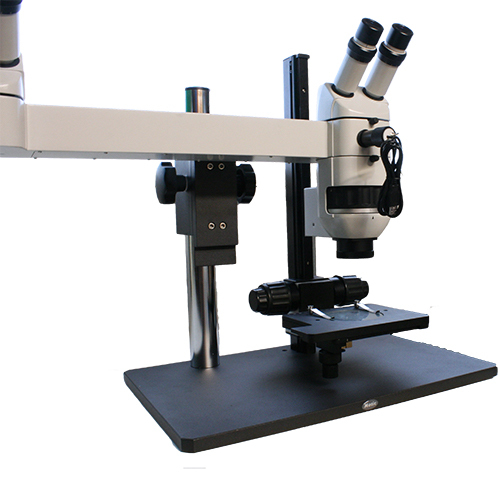 Learn more about the MWDVS Dual Observer Stereo Microscope here.